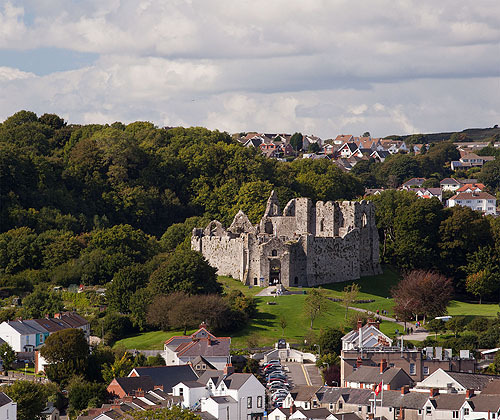 A view of the Castle , Gowers finest Castle , from the western end of Mumbles Hill , above Thistleboon Road. A Norman earth and timber castle was built in 1107 , surmounted by a Stone Keep in 1138 - the earliest stone building of the castle - much altered and incorporated into a later block. In 2010-2011 the Castle underwent significant conservation work.